Zoffany had a more first-crop winners at the weekend to add to the outstanding impact he has already made this year. On Sunday at Dundalk, Paul Deegan sent out newcomer Well Caught (2f Zoffany-Whatagoodcatch, by Bachelor Duke) to easily win a five-furlong maiden. The filly, bred by Thomas Jones, could now step up to Group company. “She´s always shown us plenty at home.The trip was a slight concern as she´d prefer six furlongs and might get seven. We might let her take her chance in the G2 Debutante Stakes at the Curragh,” Deegan told the Racing Post. Meanwhile on Saturday, the David Evans-trained Essenaitch (2c Zoffany-Karlisse, by Celtic Swing) notched up his second success when winning a novices’ event at Lingfield. On Friday, the Richard Hannon-trained Ventura Storm (2c Zoffany-Sarawati, by Haafhd) looked a smart performer in the making when winning a competitive maiden. 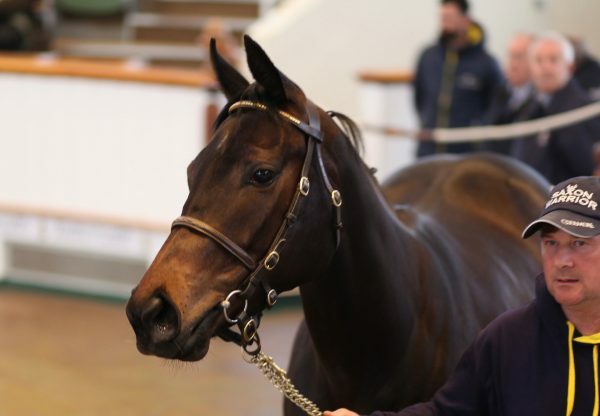 Bred by Laurence Kennedy, the colt was a 110,000gns graduate of the Tattersalls Craven Breeeze-Up Sale.